There are many types of seizures, I experience some of them, but not all. Today I’d like to briefly explain the different kinds of seizures one can experience. Lets start with the word “ictal”; it’s a fancy name for a seizure. There is both pre-ictal & post-ictal behavior. For me, the pre-ictal phase can last mere minutes but often it will last for hours or even days. I appear nervousness, I can also be hyperactive which makes my huMom sad because seeing a good dog zooming about should be fun to see but it is not always a good sign in my case. I can also experience mad hunger during the pre-ictal phase. Post-ictal finds me pacing, disoriented & sometimes temporarily blind & with no sense of smell. I’m also very hungry. A Grand Mal is much like running a marathon & my energy is depleted. Focal Seizures are partial seizures that affect a part of the brain & thus just a part of the body — like ear twitching, tongue flicking or fluttering of the eyelids. I experience all of these symptoms but mostly the eye’s fluttering. A Grand Mal seizure, also called Tonic-Clonic is a generalized seizure. This is the type of seizure that most people associate with epilepsy & the type I experience. My whole body becomes stiff & contorted. I tremble under the strain. I may also appear to be paddling the air. There is a lot of drooling & sometimes I can lose control of my bladder & bowels. For me a Grand Mal usually only lasts for a minute or less but others are less fortunate with a grand mal lasting several minutes. A Psychomotor seizure or Complex Partial seizure involves strange behavior that usually only lasts a couple of minutes. Your dog may suddenly start attacking an imaginary object or chasing his tail. It can be tricky to tell psychomotor seizures from simply odd behavior, but a dog that has them will always do the same thing every time he has a psychomotor seizure. Absense seizures or Petit Mal seizure are lapses of awareness or unconsciousness, sometimes with staring upward turned eyes. They begin & end abruptly, lasting only a few seconds. Cluster seizures which I do sadly experience are seizures experienced one after another. 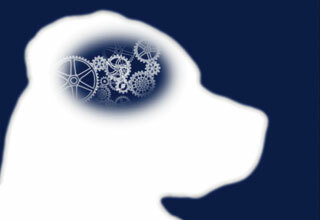 If a dog experiences more than one Grand Mal within a 24 hour period, that is also considered clustering. Cluster seizures can be confused with status epilepticus. Status Epilepticus is one continuous seizure lasting 30 minutes or more, or a series of multiple seizures in a short time with no periods of normal consciousness. These seizures are most serious as they can be fatal. Since the house fire, I was having grand mal seizure like clockwork, every 11 days but I’m happy to report that at the time of this post I’ve gone 24 days grand mal free. However, I have fought off the epi monster more than once. Generally my seizure episodes come on or near the full moon or during extreme weather shifts so my huMom is always more vigilant at these times. I have partial, complex partial and absence seizures, which often happen in clusters. I was totally unaware that dogs also experienced different sorts of seizures! Congrats on going 24 days without a grand mal seizure, Olivia! That’s pawsome news. Only having Elsa for a few months, I haven’t detected a pattern right before her seizures, our last one was so minor I was able to stop it with a couple doses of valium and not have to go to the ‘Dogtor’ and she was good as new within an hour without a complete reset of her social skills which has happened during the grand mal seizure episodes. I put ice packs on her to help keep her cool and it seems to help with the duration of her seizures. We have our fingers and paws crossed for your continued good health. Ear scratches sweet girl. Those grand mal seizures take a lot out of us & we need time to rest & recovery. My huMom also uses ice or if she can get me to my cooling mat she will place me on it. Strength to you & Elsa.